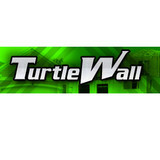 Turtle Wall LLC is a full service poured concrete contracting company based in Grand Rapids, Michigan. We specialize in using insulated concrete forms (ICF’s) for commercial and residential projects. We are experienced in commercial tall walls, multiple residential stories, basement foundations, crawlspaces, frost walls, and frost-protected shallow foundations. We can provide complete package pricing including footings, typical poured concrete walls, complete ICF walls, foundation waterproofing, concrete flatwork and decorative concrete needs. *Authorized Fireplace Xtrordinair Dealer* Since 1914, Rose Brick has been serving the Michiana area. What started as a local company, Rose transformed into the area's leader in masonry, landscaping and fireplace sales. As time has passed and the business has grown, we have maintained the same goals: provide contractors and homeowners the quality products and service that they demand. 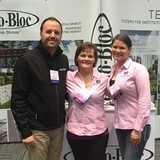 *Authorized Techo-Bloc Dealer* Michiana Brick & Building Supply has been family owned and operated near the downtown South Bend area since it was founded by Greg Gluchowski in 1993. Greg’s daughter, Jayne Flanagan, purchased majority ownership in 2011 making it a women owned business enterprise. Michiana Brick offers several lines of veneer stone; masonry brick and block; hardscape products including fire pits, fireplaces, outdoor kitchens, pavers and retaining walls. We also carry decorative tumbled glass; mortars; custom engravings; concrete/brick cleaners; and sealers. Current suppliers include Consumers Concrete (Heritage Stone, Rockwood and Silvercreek), Rosetta of Michigan, Techo-Bloc, Heritage Stone, Veneerstone, Pavestone, Pine Hall Brick, SEK Surebond, BrickStop, SRW and many more. Our Friendly, competent staff is happy to share their brick and paver expertise in planning your home, hardscape or commercial brick project. For your installation needs, we offer a list of quality masonry and hardscape contractors to choose from. We have partnered with area contractors who built outdoor showrooms of their work on our property. Stop by our showroom and see our displays or view our portfolio of completed projects. We look forward to working with you and are available to answer any questions. We would love to help turn your Backyard Dreams into Realities! The Lamar name has been recognized for quality brick work in the Holland area since 1966. Owner Lane Lamar has been providing quality craftmanship in the paving brick field since 1994. 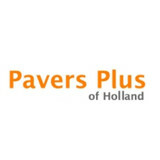 With over 30 total years experience in the field, Pavers Plus of Holland installs quality brickscapes. Unlike landscape companies who have everyday employees install brick work, Pavers Plus of Holland has only skilled brick layers. Be assured, owner Lane Lamar will be giving every job his personal attention. Grand Rapids Stamped Concrete is your pro for concrete repair, patios, curbs, sidewalks concrete driveways, walkways, concrete pads, pool decks, retaining walls, stamped concrete, acid stained concrete and more. With all our services we also offer textured concrete, colored concrete, stamped concrete as well as sealing, staining and refinishing. For all your concrete needs in Grand Rapids, MI. Call now for a free quote and talk to a professional representative to assist you with any questions or concerns you may have about an estimate on a concrete project. Stone Pro, LLC was founded by Andy, a stone mason of over 20 years, who understands how to properly manage our diverse masonry industry. Andy was able to hand select his team to help grow this business and properly service the market with the most knowledge staff in the industry.We believe in basic principles such as offering a fair price on quality products. We also know that our customers expect world class service and we understand that you, our customer, are our most important assets. Stone Pro offers the largest stocking inventory of anyone in the Country. We stock Eldorado, Dutch Quality, StoneCraft, Coronado, Eden Stone, The Stone Mill, Real StoneSystems, and many more that are available for pick up today.We also offer the finest showrooms in the business. You are invited to come and view full size stone displays of the latest color and texture combinations that will look perfect on your dream home or remodel project. AND, you can pick them up today! My name is Craig Van Wieren, owner of Brixstone Masonry. I have been a masonry contractor and business owner for 11 years & have 17 years masonry experience as a mason. I am very competitively priced in the local area. However, I feel I set myself apart from most with my expertise, quality and design. I pride myself on going above and beyond to ensure complete satisfaction, while taking extra-precautionary steps to avoid mishaps and cleanup. I strive for perfection in my craft and my quality speaks for itself. I work in a timely matter and always strive to stay within a builder's deadlines. Having an artistic background and attending college for graphic design gives me the ability to sketch ideas, which helps provide a clear and concise concept and ensures we are heading in the right direction. C & M Asphalt Indiana has true expertise in paving and has focused on commercial and residential pavement management since 2000. We are a Full Service Residential and Light Commercial Masonry Contractor providing masonry contracting services and products, natural and manufactured to the Kalamazoo and West Michigan area since 1983. For 15 years, Specialty Concrete Construction LLC has been providing professional and reliable services to the Holland, Ottawa County, and surrounding areas. Allow our team to provide you with all of your concrete and asphalt needs. Some of our specialties include: Concrete Installation, Repairs, Concrete Cutting, Curb Building, Grading, Driveway Paving, Sidewalks, Sub-Divisions, Parking Lot Construction, Striping, Excavation Services, Retaining Walls, and Coating and Sealing. Welcome to Chips Groundcover- Michigan’s Premier spot for Landscaping Supplies. From installing new exterior columns to repairing your chimney, masonry contractors can help you add both visual appeal and value to your property. They’ll know what kind of installation makes the most sense for your Kalamazoo, MI climate and regional style. Looking for something that will develop a patina with time? Or would you rather have your home feel brand new for years to come? Choosing the right kind of stone involves thinking about the future, too. Experienced brick suppliers and stone suppliers can help you find the material that will work for your home now and for years to come. These professionals aren’t limited to exterior work either. Whether you want a split-stone granite wall in the kitchen or need help installing traditional brick masonry on your fireplace facade, you’ll want a professional to get it right. If you’re already working with an architect or designer, he or she may be able to suggest a good Kalamazoo, MI subcontractor to help out. Here are some related professionals and vendors to complement the work of stone, pavers & concrete: Landscape Architects & Landscape Designers, Architects & Building Designers, Garden & Landscape Supplies, Driveways & Paving, Siding & Exteriors. Find stone, paver and concrete professionals on Houzz. 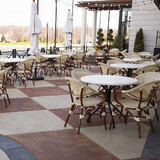 Search the Houzz Professionals section for Kalamazoo, MI stone, paver and concrete professionals. Browse photos and read reviews, and contact a pro if you like their work.